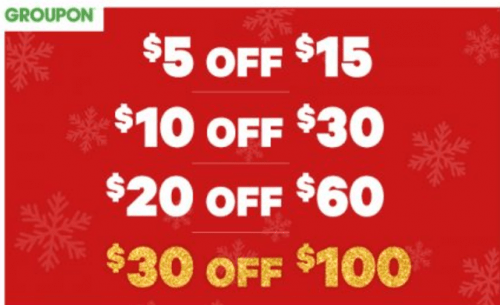 Hudson’s Bay Canada Black Friday 1-Day Sales: Save 63% off Calvin Klein Men’s Outerwear, 40% Off Other Outerwear & 50% Off Hats, Gloves & Scarves! Save 63% off Calvin Klein men’s wool Coat and puffer jacket, today for only $99.99 (save $170.00 – regular price is $270)! Save 40% off on other select men’s casual outerwear! Save 50% off select men’s hats, gloves and scarves! 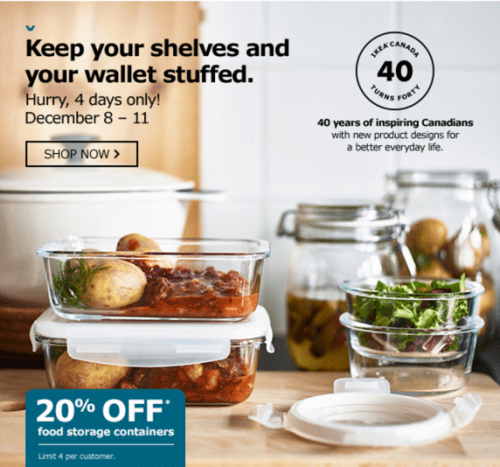 These Hudson’s Bay one day deals are valid online today only, Monday, November 21, 2016 until 11:59 pm ET. While supplies last. 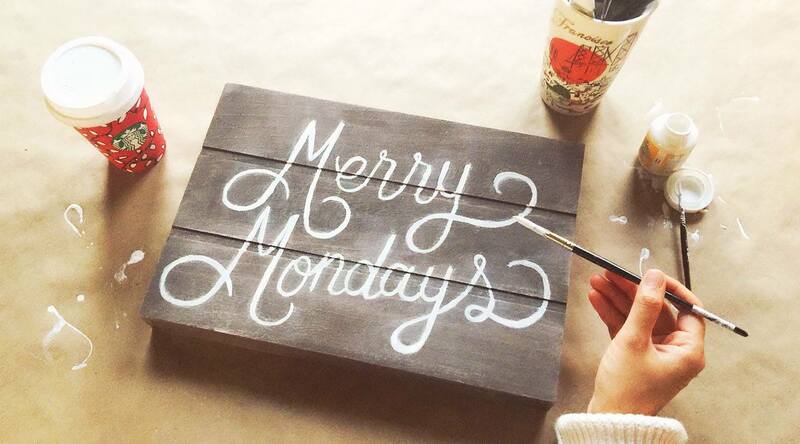 Starbucks Canada Merry Mondays Offers: Earn 30 Bonus Stars when You Spend $15! Earn 30 bonus stars when you spend $15 or more in a single transaction! This offers is valid today, Monday, November 21, 2016 from 2PM–close at participating Starbucks and Teavana stores! Bonus Stars will be automatically loaded to your Starbucks Rewards account within 24 hours! Click here to sign-up to become a Starbucks Rewards member. Click here to shop at Starbucks Canada online. 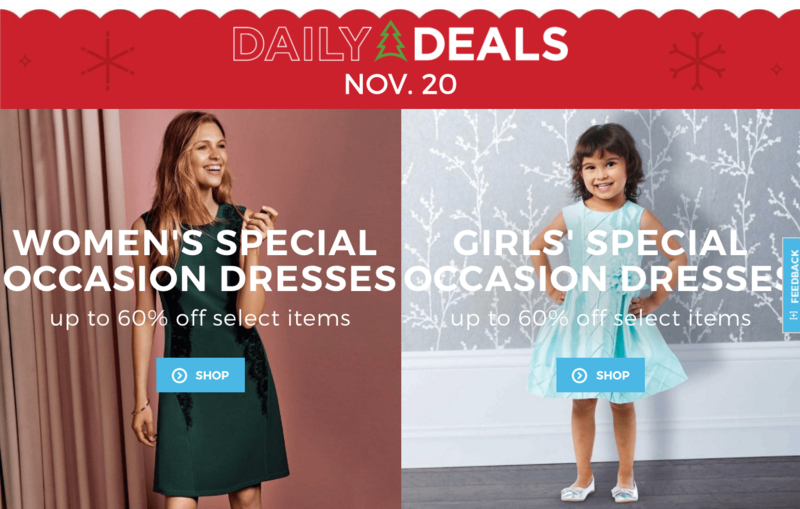 Sears Canada Daily Deals: Save up to 60% Off Women’s & Girls’ Dresses! Save up to 60% off women’s special occasion dresses. Save up to 60% off girls’ special occasion dresses. These deals are valid today only, Sunday, November 20 2016. 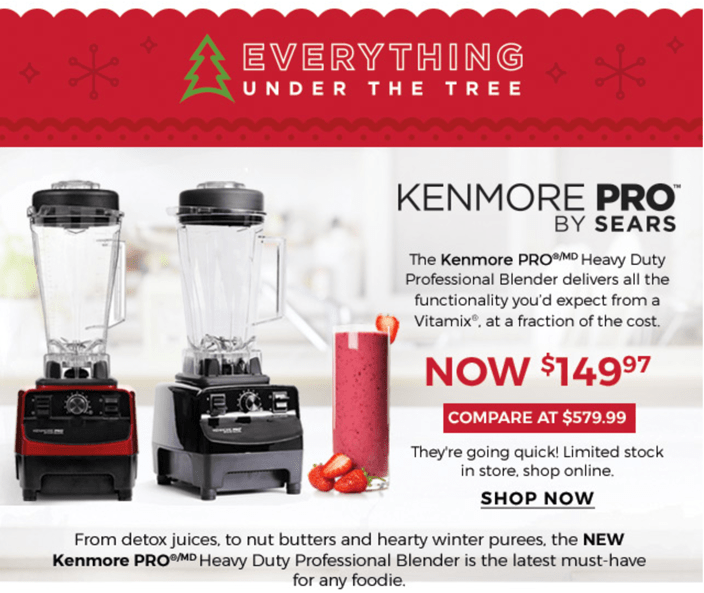 Sears Canada has FREE shipping on online orders over $99. 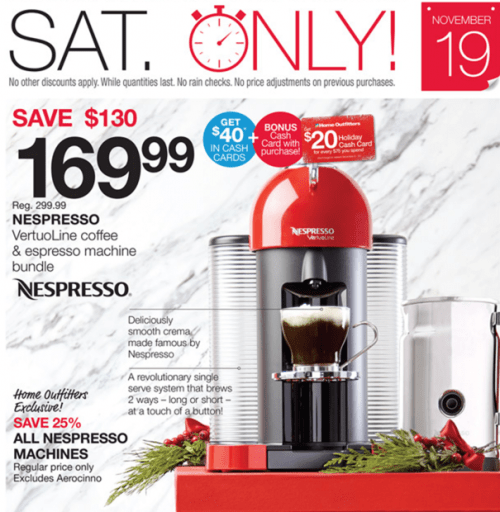 Home Outfitters Canada Early Black Friday 1-Day Deals: Save 43% Off Nespresso Coffee & Espresso Machine Bundle & More + Coupons! Home Outfitters coupons are valid from Friday, November 18 until Thursday, November 24, 2016. Print or display coupon on your smartphone to get your discount. Good morn­ing 🙂 Happy Saturday! 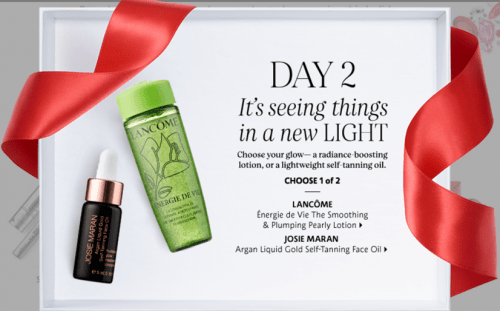 Hudson’s Bay Canada’s one-day only sale is back with a new great deal each day! 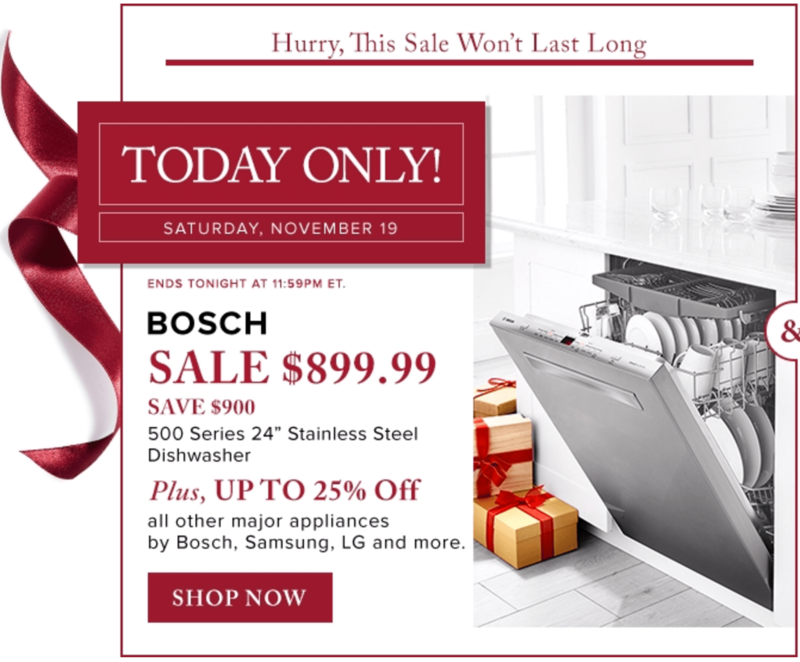 Today, Hudson’s Bay is breaking out the Black Friday savings early on all Bosch dishwasher merchandise online and other major appliances by Bosch, Samsung, LG, Whirlpool, Maytag, kitchenaid, and more! 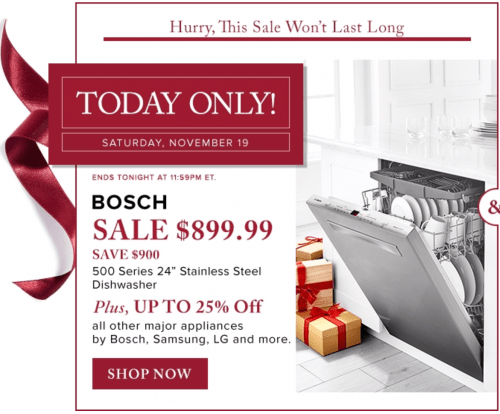 Save up to 25% off on all other major appliances by Bosch, Samsung, LG,Whirlpool, Maytag, kitchenaid, Amana and more! These Hudson’s Bay one day deals are valid online today only, Saturday, November 19, 2016 until 11:59 pm ET. While supplies last. No rain checks and no price adjustments. 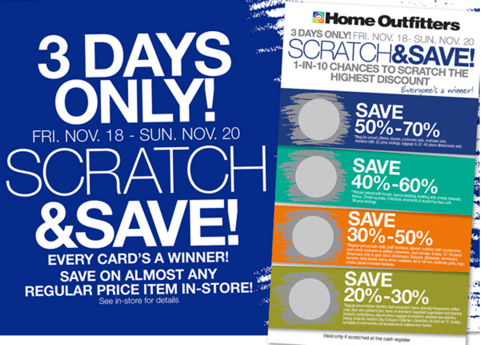 PLUS, Scratch & Save is on now at Home Outfitters Canada stores for 3-days only! Every Card’d a winner! 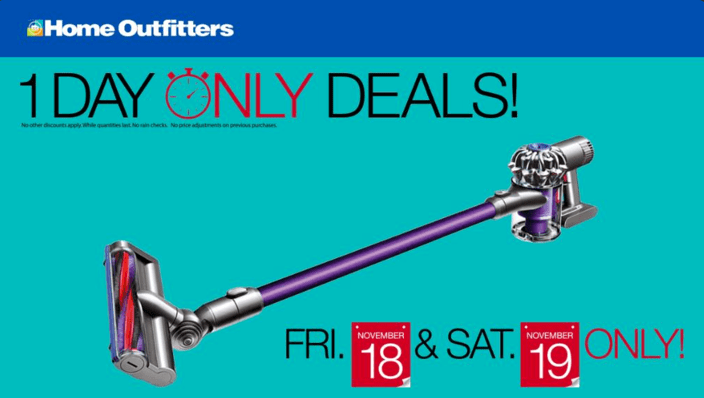 This promotion is valid in-stores from today, Friday, November 18 until Sunday, November 20, 2016 only. Hudson’s Bay Canada Pre Black Friday 1-Day Sales: Save Up to 65% Off Women’s Boots, $39.99 for LEXI & ABBIE Women’s Boots + 50% Off Women’s Shoes & More! Just $39.99 for LEXI & ABBIE women’s boots (reg. $89-$110), 10 styles are available! Save 50% off select women’s shoes, more than 500 styles are available! Save up to 40% off Women’s Coats and Jackets! 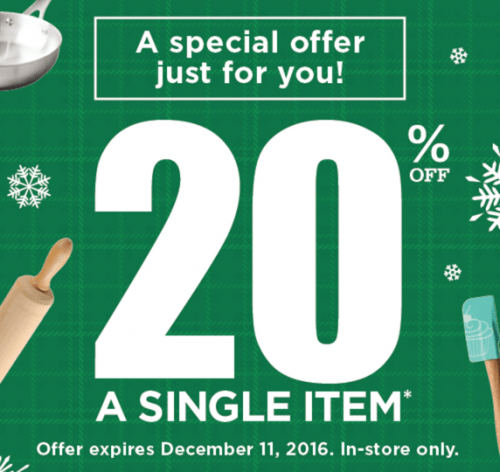 Hudson’s Bay one day deals are valid online today only, Thursday, November 17, 2016 until 11:59 pm ET. While supplies last. Hudson’s Bay Canada has a great offer on Samsonite Luggage on right now for a limited time only or while supplies last! 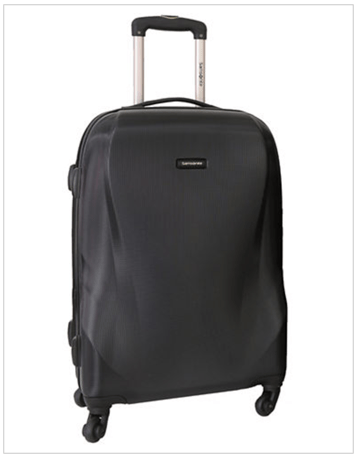 Save 75% off on Samsonite Rhapsody Hardside 24-Inch Spinner! This luggage by Samsonite is available in black colour only. The Samsonite hardside 24-inch spinner luggage will only cost you $124.69 instead of paying the regular price of $$475.00! Enter the promo code VIP at checkout for your extra 25% off at Hudson’s Bay online. 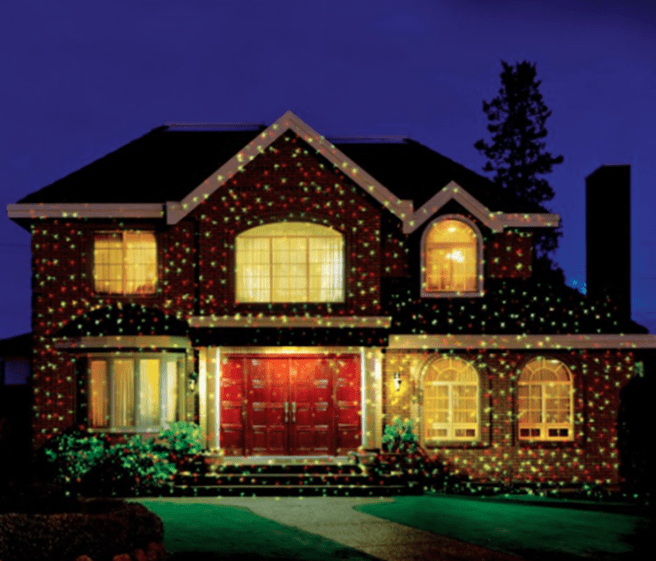 This is an excellent offer if you are a frequent winter traveler and for Christmas! Shipping will be FREE since this purchase if over $99. Click here to get this Hudson’s Bay Canada Samsonite deal. Click here to get more luggage on sale. 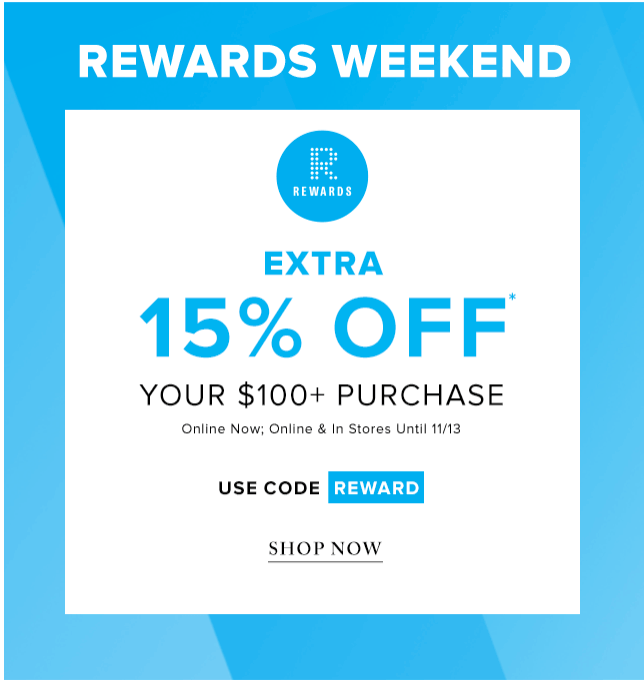 Hudson’s Bay Canada Promo Code: Save an Extra 15% Off Your Purchase Including Sale! Save an extra 15% off all your $100 purchase including sale and clearance items! 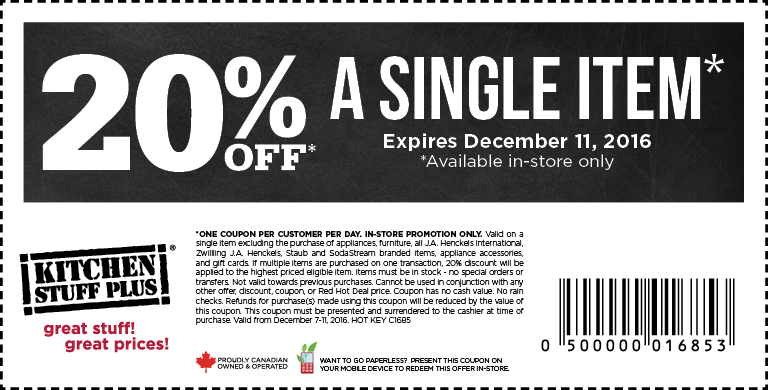 To get your extra discount, enter the coupon code REWARD at checkout online at Hudson’s Bay. This promo code is valid until Sunday, November 13, 2016 only. This Hudson’s Bay promo code offer includes regular, sale and clearance prices. Excludes One Day Sale offers, major appliances, cosmetics and fragrances. No rain checks or price adjustments.